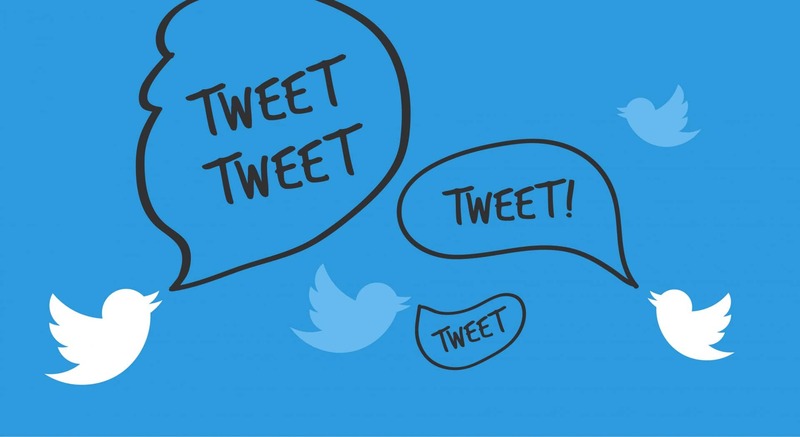 How To Boost Your Twitter Engagement! Twitter has become one of the biggest marketing influencers in recent years. While before, creating content that could be shared on a global scale was considered to be a frightening task, it can now be done with a few hashtags and retweets. But not only do you need the engaging content, you need the engaging profile! While some believe hashtagging a tweet to the absolute max is the way forward, and others covet the let’s randomly tweet lots of famous people approach, it does usually come down to what content you have, is the person you’re sending it to relevant to you, and what your profile is like. The focus of this post is about your Twitter profile and content engagement. Many websites claim to hold the secret to a great Twitter engagement plan, listing the top 5/10/50 ways to make you more appealing to the Twitter-sphere, but they can seem quite spammy ways, like asking for retweets and follows. Instead of offering the top suggestions, we aim to show you a variety of ways to up the engagement! What’s the first thing your followers will see? Probably the single most important thing on your profile. If someone searches you, your tweets aren’t going to be drawing in the crowd, it’ll be your bio. It’s the first thing other tweeters will see and should reflect the first impression that you want to give. For example, you are a young, successful businessman who owns a company that organises Christmas parties at the click of a button. You need to express in 160 characters what you do, how good you are, any personal achievements and that all opinions are your own (that last one is very important) Now don’t panic, many have done it before and you can do it now. As you’re on limited characters, you need to make sure every word you use is gold. You need to avoid those little jokey ones like wine lover, chocoholic or the dreaded coffee addict. These may seem like a little inside joke that helps you relate on a human level with your followers. You can do this without looking unprofessional. If you’ve written an article or have your own column on an online magazine or news outlet, mention that. If you’ve won an award for the youngest businessman to make a million in 2012, put that in as well. But if you managed to eat 25 hotdogs in 10 minutes…best to leave that achievement out…unless it’s relevant to your business. You’re only human – so show it! Next up is the content that you’re posting. We’re not talking about the link that you add to your tweet, we’re talking about the actual tweet. You may be trying to get people to click on the link and read what you’ve written, but the tweet you send is that little bit of advertising to say essentially why not click on this content, like it and retweet it to all your friends! You have many ways to approach it, whether that be a humorous tweet or nicking a quote from the content tweet. Let’s start with the humorous tweet. Sounds very simple but can be hard to construct. You have to get the tone right for your audience. You could make a pun about the title or the content, e.g. you’re posting an article likening the rise in custom images in digital marketing to the sales of easter eggs. You could tweet Why adding custom images to your website is an egg-cellent idea! (link) It’s the cheesiest thing to do, but it gets your readers to laugh (or groan) and possibly click on the link. You’ll be increasing the chance of clicking if you engage in humour-like posts. However, if you or your business aren’t about humour, maybe you should consider the quote nicking tweet. You can take a small piece of valuable information that someone has said, and add click here to see the full story. It must be said that you shouldn’t use your most valuable quote in your tweet, as once someone has read it, they aren’t going to bother with the rest of the article. It’s all about deciding what content is enough to draw in a readership and get them to engage with the content. And if it is a motivational quote you use, it is more likely to get retweeted. Have you noticed that when you go about your retweeting business, you’re always drawn to those that have images? Well there’s a reason for that! Studies have shown that adding images or videos can increase your retweets by 150% (Rich Tweets, 2013). This is a massive increase and advice that should be heeded. You’ll have to make sure that the images and videos are relevant to what you’re talking about, and what kind of business you are. Now I can hear you saying but my profile isn’t relevant enough to have images on. Well, sadly you are wrong. Any account can have an image or video on their tweets. Have a business that stocks hay to farm shops, post an image of your bag on a farm. Running a small business that sell saucepans? Film a small promo with a family using your pan set. It is really that simple! This does not mean use every word as a hashtag! Your post would look unreadable, and would use up valuable characters. You need to use hashtags wisely and consistently to gain maximum engagement. Hashtags allow you to be found by groups of people who share a similar interest in a topic to you, without having previously been engaged with you. Hashtags can lead to possibly future engagement with someone, because you’ll be constantly appearing in their searches, as well as sharing an interest with them. One tip we can recommend is checking in the Twitter search bar if what you want to use as a hashtag is actually a hashtag. There’s no point in putting that important symbol in front of a word if it will have no effect. A little research can go a long way for this, as the engagement rate could be huge if you do it right. This has two points to it. Firstly, you need be posting consistently good and informative content that is on-topic. By that we mean you should be posting relevant information to your followers. For example, if you’re a specialist in motorbikes, and you want your profile to be linked to your business account, you should be commenting on relevant tweets to get yourself out there, as well as retweeting relevant content. There’s no use tweeting out to your motorcycle mad follower base about your recent trip to the dentist. Secondly, you need to be posting on a regular basis. You can’t go through periods of time where you don’t tweet/retweet anything and then go crazy and post every 20 minutes. Not only will you confuse your followers, but it will most likely cost you them as well. You have to create a system for yourself that will allow you to boost your following without coming across as OTT. Our tip is to try and tweet at least twice a day, and retweet at least 3 times a day, spaced out across the day to maximise the effect. Struggling to remember to post regularly? There is software available that will help you do that. Internet-based software such as Buffer, Hubspot and Hootsuite allow you to schedule posts months in advance. While Hubspot and Hootsuite will cost you (they do offer free trials) Buffer is completely free if you only add one account to each social media platform. With Buffer’s free plan, you can schedule up to 10 posts in advance for each account, so that could be a week and a half’s content just there, or 2 weeks worth if you’re tweeting once a day. If in doubt, make your tweet humourous!